Here’s the Samsung Galaxy J7 J710F solution for not working ringer, buzzer or hands-free speaker problem. This solution may help on how to troubleshoot and repair the phone handset. 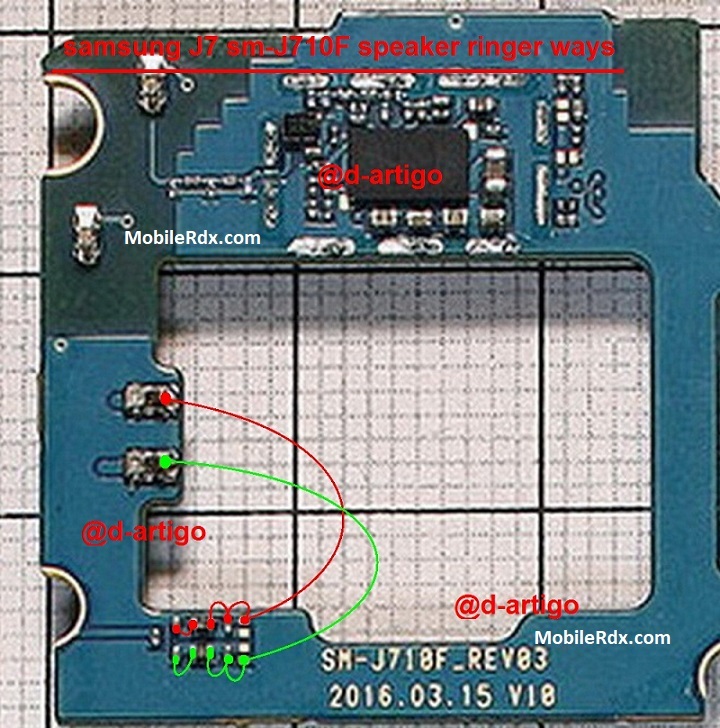 To repair the Samsung J710F hands, free speaker, you may first clean the speaker terminal contact pads on the PCB board if there is a corrosion and oxidation build up., then check the speaker using a multimeter to easily determine if it’s working or not. Replace a damaged speaker if found. If the speaker confirmed okay, you may refer to the solution below and do have a check and test procedure on some components which is associated or connected with the hands-free speaker circuit.